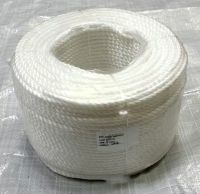 10mm x 70m reel splinter-free white polypropylene rope (Larger 220m reels are available ~ please telephone or email us). 3 strand yarn construction manufactured in Europe for a superior white rope from Ropes Direct. This rope is often called by the generic name of nylon rope. 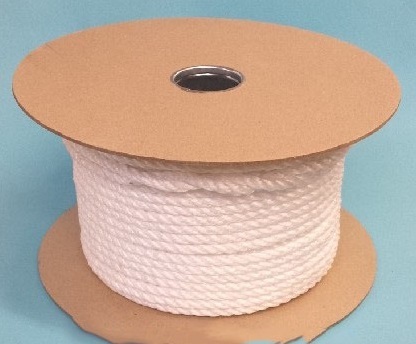 The image we have used here is of our 8mm white rope on a reel.